CSSChopper is a trustworthy PrestaShop partner and has a team of experienced PrestaShop developers who offer the best eCommerce solution for your business at an economical rate. You can hire PrestaShop developer from us to get feature-rich, swift, aesthetically appealing UI, responsive and a user-friendly eCommerce website. Our PrestaShop experts are tech-savvy and we keep them stay abreast with the latest eCommerce technologies to meet client’s preferences. At CSSChopper, we develop the best PrestaShop eCommerce stores that not only maximize the visibility of your business but also offer shoppers with a secure shopping experience. 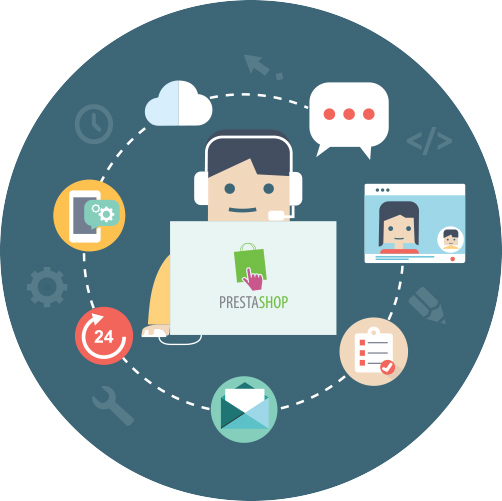 With a team of passionate and experienced PrestaShop developers, we are able to render high-quality solutions.Our experienced PrestaShop developers implement the right expertise to make websites profitable by ensuring the latest upgrades. You can get in touch with our developers via Skype, Email, phone, PMS and chat. To deliver projects successfully, we offer full-time, weekly as well as bucket hours TM support. In full-time, 8 hours a day along with 21 working days in a month is allotted. This equals to 168 hours in total. In weekly hiring, 40 hours are offered which means 8 hours a day. Bucket hour option provides flexible hiring valid till one year. For tracking projects, we offer daily reporting, BaseCamp, PMS, Trello, and Jira etc. CSSChopper ensures that your chosen PSD to PrestaShop theme is used for multiple stores. Our developers can easily translate your requirements into technical solutions. Our highly experienced team offers consistent support along with adequate maintenance and periodic upgrade services as per your specifications. Hire PrestaShop developer from us who have adept knowledge to simplify complex issues. Our team specializes in PrestaShop customization at both UI and code level. Our professionals are dedicated to implement multiple modes of payment to your online store for hassle-free transactions. Our PrestaShop developers are expert at using the most appropriate integration to get shipment processed faster. They are expert in enhancing your website’s functionality. CSSChoppers’ expert team of PrestaShop developers focuses on creating additional modules to make your website effective among the visitors. Hire a team of expert PrestaShop developers from CSSChopper who are seasoned to create a complete and feature-rich eCommerce store for your online success. Our PrestaShop eCommerce development team takes proper care of your eCommerce website by ensuring that the content placed is unique, informative and relevant to attract heavy traffic. Having several years of expertise, our developers craft websites that are optimized for searches, load under 3 seconds and become compatible across all devices and browsers. We provide hire PrestaShop developer services at a nominal cost. With us, you get the flexibility to choose a developer on full-time, part-time or monthly basis. Our programmers code each website flawlessly to ensure top-notch user experience. This makes us the right choice to hire PrestaShop developer. Our developers make use of the smartest workflow that helps in taking care of all the requirements. It also allows the coders to execute the project in a defined time. With a talented team of PrestaShop developers, you can set up a unique brand image for your website. They invest their knowledge to craft a multi-functional store for your business. We offer you with the best pricing in the industry by serving projects in a given duration and with the maximum ROI for your business. Our creative and the talented workforce balances each step to deliver the desired results. We ensure in-budget, timely delivery and high-quality in each project. With a robust and easy to use project management system, we allow our clients to directly connect with the team while ensuring no communication barrier. You reserve the sole rights for the resource code and only you can sell it to any third party. Hire PrestaShop developer from us to get websites that are high in performance and quality. Our developers can build your website from scratch by using PrestaShop responsive template. Our developers impart your website with great customization features to retain clients and boost their business. To make the process of ordering smooth, we make use of easy checkout and multiple payment gateways to push conversion higher. 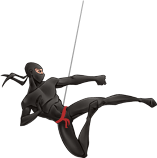 Our developers use advanced encryption methods to set up security permission and prevent attacks from malicious bugs. We keep websites SEO ready using the best practices in marketing. Our experts have a rich knowledge of Google’s algorithm. Websites delivered by us are completely mobile-friendly and fits exactly the screen of users. The flawlessness on mobile site helps in brand recognition. Are you willing to discuss a new project or would like to revamp the existing one? Our PrestaShop experts are here to help you. Just fill up the form below with name, phone number, email and your specific query. Also, you can attach a project file, if any and then send in your inquiries. The process of analysis we follow starts with covering all the aspects of client’s business and their needs. Our developers determine the target audience, business goals, detailed feature and other similar info about the website. Our developers will then contact you to discuss the further plan. From a pool of talented PrestaShop developers we have, you can select the one who would work for you based on your requisites. After selecting the one based on project needs, you will have to go to the process of payment. Our PrestaShop experts have multiple years of experience in integrating PrestaShop theme, template and plugin. So, rest assured your project will be in safe hands with us. Our developers will offer the right solution and deliver project on time. This way, you can enjoy the complete development process.